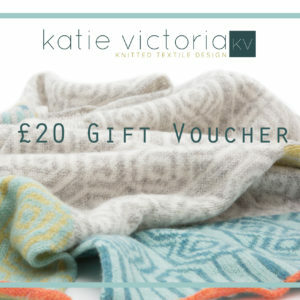 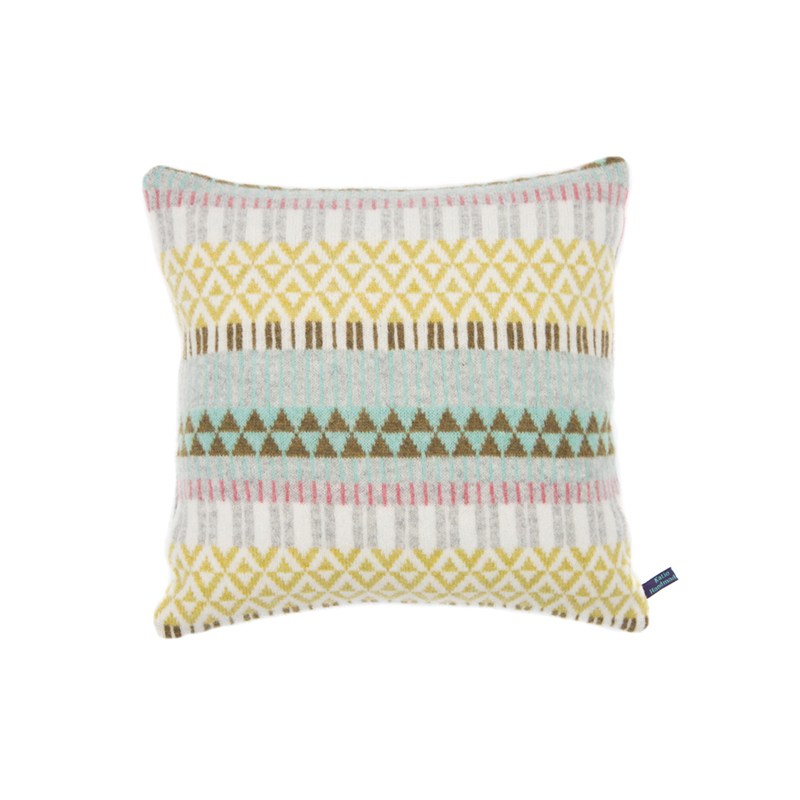 Inspiration comes from cultural architecture and traditional Japanese textile prints, colours of citrus, natural and ash grey combine to create a super soft knit with multi stripes throughout the cushion. 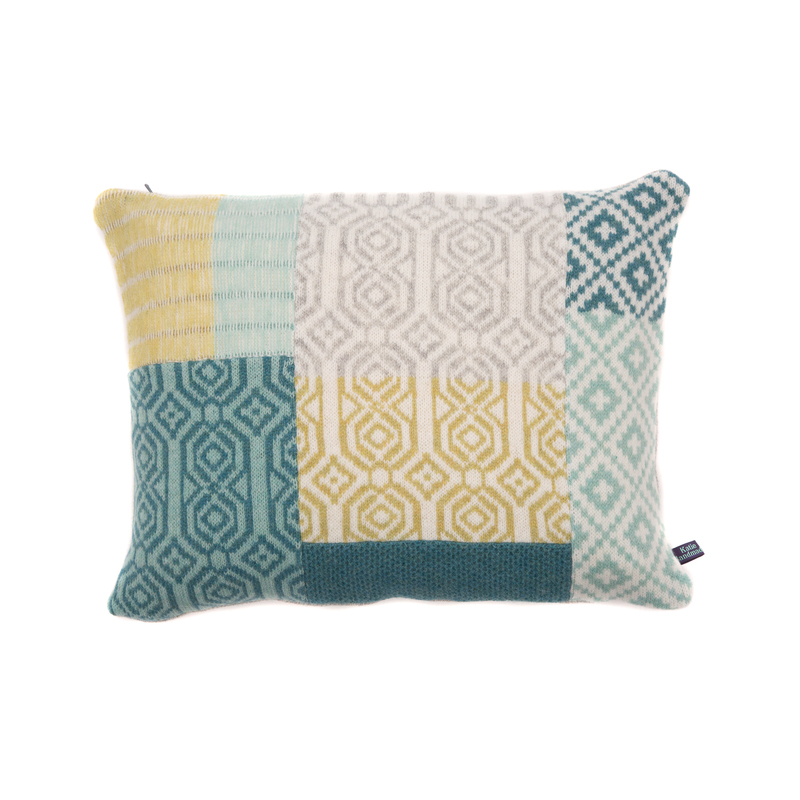 Made from the highest quality merino lambswool yarns this soft luxurious cushion is a perfect gift for someone special or as a treat for your home. 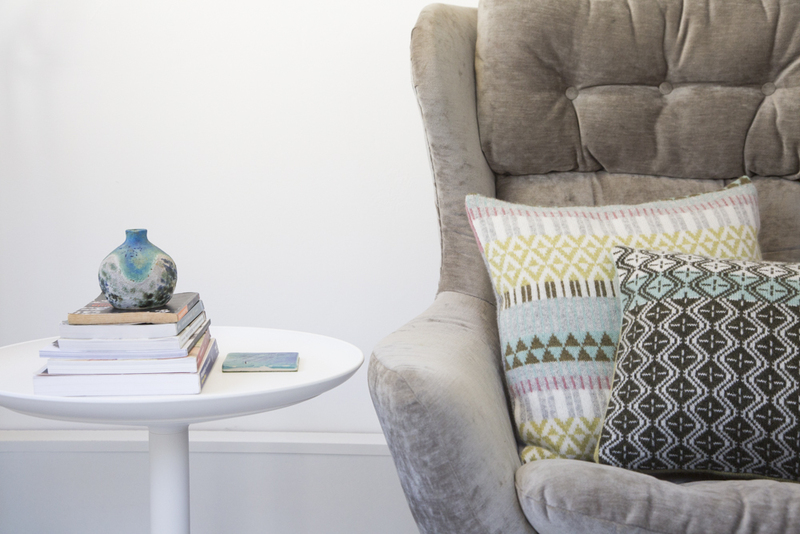 This completely unique design is perfect sitting with a combination of other cushions or as a statement piece alone. 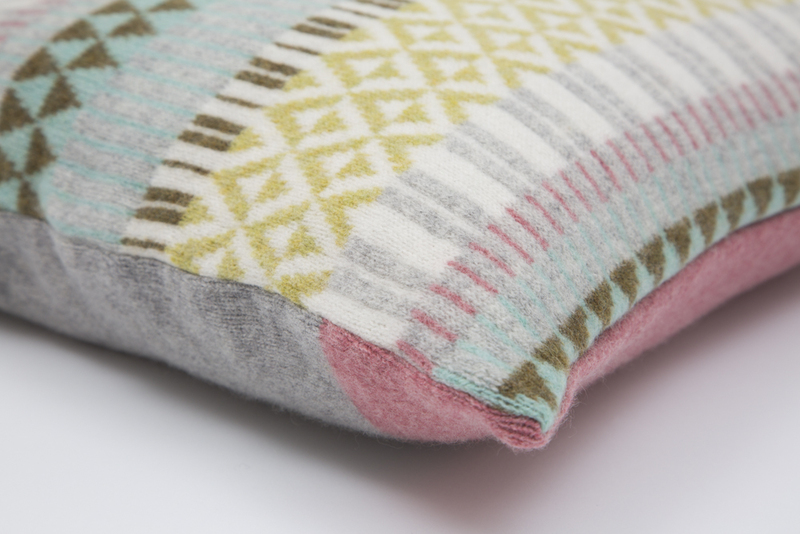 The back fabric is a contrasting pearl grey and rose pink solid fabric. 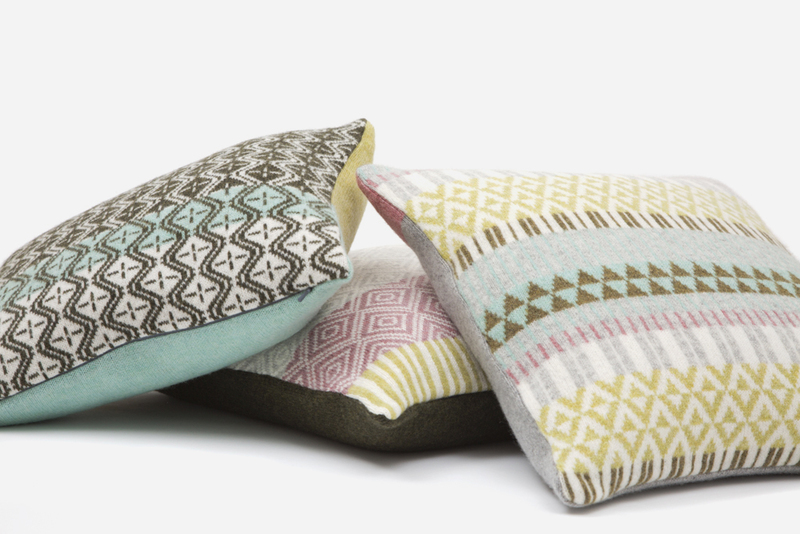 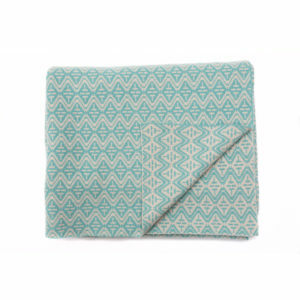 Each cushion has a duck feather inner with invisible zip opening.